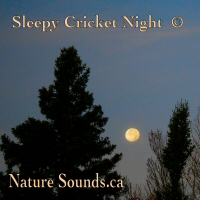 Buy and Download > Description Sleepy Cricket Night is perfect to relax with, for meditation, or for sleep. It’s a sleepy summer night. 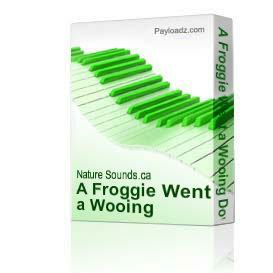 So sleepy that the clearest sounding cricket dozes off a few times in the middle of the song! It’s a quiet summer night. Quiet enough to hear the occasional dewdrop fall from a leaf onto the ground. In Sleepy Cricket Night, you will hear crickets chirp with a background harmony of other nighttime insects. It’s a Sleepy Cricket Night. Sleepy Cricket Night features a long fade-in at the beginning and a slow fade-out at the end, so there are no sudden disturbing changes in sound volume when played looped. The preview and song are encoded at 192 kps bitrate for better listening quality. A CD-length mp3 edited and mixed from digital stereo field recordings. 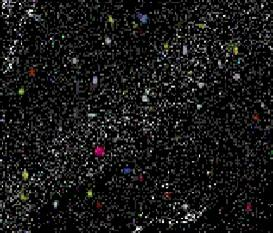 Length: 62:50 minutes, File size: 86.2 MB.